The Window People located in Stamford, CT has been selling high quality windows and doors to businesses and homeowners in Fairfield and Westchester counties since 1932. The company originally started as A1 Aluminum Products Co. and sold a variety of siding and roofing materials. In 1983, when the current owner Ted Davey took over, he decided to focus the business on what he does the best - windows and doors. Since then, The Window People have been specializing in unique wood and vinyl windows, as well as wood and fiberglass doors and related hardware. The company's product lines include Peach Tree, Vetter, and Kolbe windows and doors, and Therma-Vu and IWP doors. The company also carries Insula-Dome skylights and Emtek door hardware. 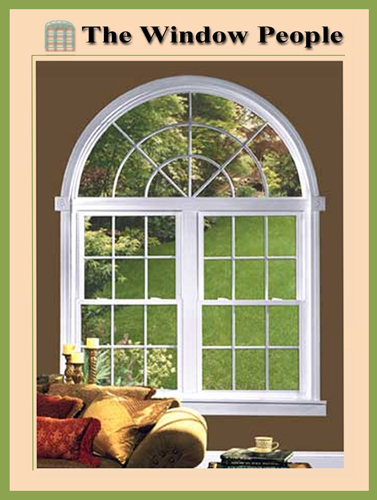 The success of The Window People is attributed to the staff's vast knowledge of products and great customer service. Whether you are remodeling or building a new home, The Window People have valuable information that will help you make choices for your home.By following your dreams, you make your house a home. With the greatest number of design options in the window and door business, The Window People can help you make it a haven. The Window People will help you select the right products that meet your needs and address any questions or concerns you may have. In addition, you can be sure that the installation crew will be professional and efficient. Visit the 1,500 square feet showroom at 42 Magee Avenue in Stamford, Connecticut to look, feel and experience some of their products. Friendly staff will be there to answer your questions. © Mort Walker's The Best of Times, LLC, 2006. All rights reserved.